We recently stayed in this apartment and couldn’t be more happier and comfortable. Great spacious apartment for my family of 6 people. Restaurants close by with a 5 minute walk to the Crown Casino. The Apartment itself had a beautiful view of your spectacular city. I found the Apartment to be very well accommodated and very clean. Will be recommending this Apartment to family and friends. 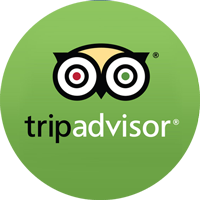 With more than 550 reviews for StayCentral on Tripadvisor, Airbnb & Google, at 4.9 Stars, why look elsewhere? Large 55” HD TV, with DVD and free Netflix (coming soon). Unlimited wi-fi Internet with DVD and free Netflix (coming soon). This extra large stunner is in an unbeatable location for a city stay. Includes balcony with commanding city views towards the Dandenong ranges. Resort style facilities with heated indoor pool, well-equipped gymnasium, BBQ area, 50" LCD Panasonic TV with FOXTEL and DVD. Wi-Fi and security, reserved, undercover car parking all included. Perfect for four, with a separate area with two extra single beds, (there is a privacy curtain rather than a door on this separate area), the Cityviews corporate apartment is brilliantly located; part of the new Southbank One building in a modern city precinct right in the middle of Southbank, and only a stones throw across the river to Melbourne CBD. With a well-equipped gym and indoor pool, supermarket, restaurant, cafes and trams, and Southbank Promenade all on your doorstep, you will love this apartment and this location. Your boutique apartment includes high quality furnishings and appliances, linen, towels, and a full kitchen and laundry facilities. There's also a cot and high chair available for free if needed. Don't forget to bring linen for the cot. With more than 550 reviews for StayCentral on TripAdvisor, Airbnb and Google, with a guest rating of 4.9 Stars, why look elsewhere? The Yarra River is a great way to see the city and hear about its history. The river cruises show you and tell you so much about the city. This apartment generally has a minimum stay of 3 days. Bookings made well in advance have longer minimum stays. Lower rates are available for longer stays. We require a minimum security bond of $900, which will be pre-authorised (not charged) to your credit card several days before your arrival and released back automatically by your bank after your departure (subject to damage check). Please enquire with us for more details before making a booking. 125% Satisfaction Guarantee. We will refund 125% of your fee if our apartments are not as they appear on our website; or better. Please see our website for full details. Please contact our friendly staff on 0401 119 429 to check for additional availability and make a booking. Enquiry about this property and we will get back to you as soon as possible.